Full Tilt Poker has been on a wild ride as up until a week ago they were the 2nd largest poker site in the world. Full Tilt Poker has seen its ring game player base slowly evaporate as they are now the 4th largest site behind Party Poker & iPoker Network. Now lets get into each site/network and see what they have been up to lately which could contribute to the surge and decline. Let’s start with the 3rd largest site which is the iPoker Network. Over the past year the network has seen its cash player base increase significantly with the addition of some high quality sites such as Betfair & Dusk Till Dawn. We should continue to see iPoker increase its player base as they are constantly recruiting new skins to join the network and one big addition in the future will be Ladbrokes which will be leaving the MPN Poker Network for iPoker at some point in 2013. The 2nd largest site currently is Party Poker which recently merged it’s player base with Bwin Poker. Up until the merger, Bwin Poker was a the headline skin on the OnGame Network and when the OnGame Network was sold by bwin.party to Amaya Gaming it opened the door for Bwin Poker to merge on to the Party Poker Network. The merger of the player base immediately pushed Party Poker into the 2nd position as they briefly overtook Full Tilt Poker to claim the 2nd spot. Since the surge they have seen there player base slowly decline but they have finally found there footing and are starting to slowly increase there active player base. 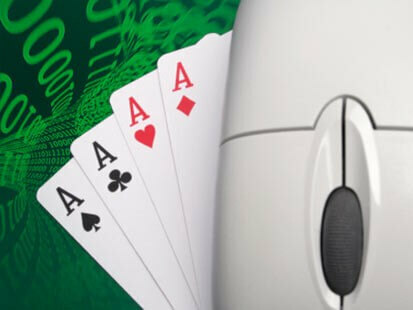 Full Tilt Poker since the site reopened has really seen wild swings in its player base. One of the key factors could be that players can now easily transfer money from Full Tilt Poker & PokerStars and players will migrate back and forth depending on the promotions going on at the time. Full Tilt Poker does have hands down the best software within online poker so we should see them move back up into the top 3 positions or even the 2nd spot when they have another big promotion going on. The parent company of PokerStars is the Rational Group and they also own Full Tilt Poker. While PokerStars is the clear untouchable leader within the online poker world with the site boasting an average of 23,600 and if you factor in FTP traffic you would be look at 26,650 as a combined cash player pool.